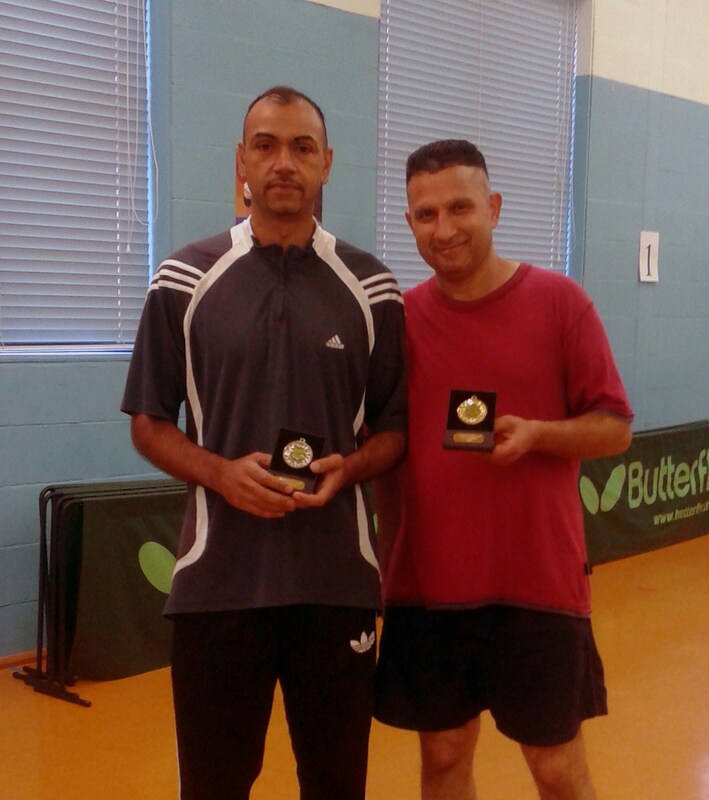 On Saturday 27th September Woodfield held it first Senior Closed Championships in many years . Open to all Woodfield members , this event attracted 28 men and 3 ladies . Matches commenced in groups of 4 progressing to the knockout stages. In the Quarter finals Steve Horton the No 1 seed faced Boguslaw Okonek and was pushed all the way winning 11 – 6 in the 5th game. In the second Quarter final Pat Glynn faced a determined and in form Nick Gilmour , with Pat scraping through in an even closer match winning 13 – 11 in the final game. Next match on was Jody Bevington against Steve Robinson. Robinson was rumoured to be in good form and this proved to be the case, with Steve causing an upset winning 11 – 4 in the 5th . Last Quarter was between Chris Tarr and Jason Thompson. This was a cagey match with play even at 1 game all with the 3rd game proving to be crucial, Tarr having chances to go 2 – 1 up, but he was unable to convert and lost the end. This proved to be crucial with the momentum swinging toward Thompson who took the win with an 11-7 fourth end. 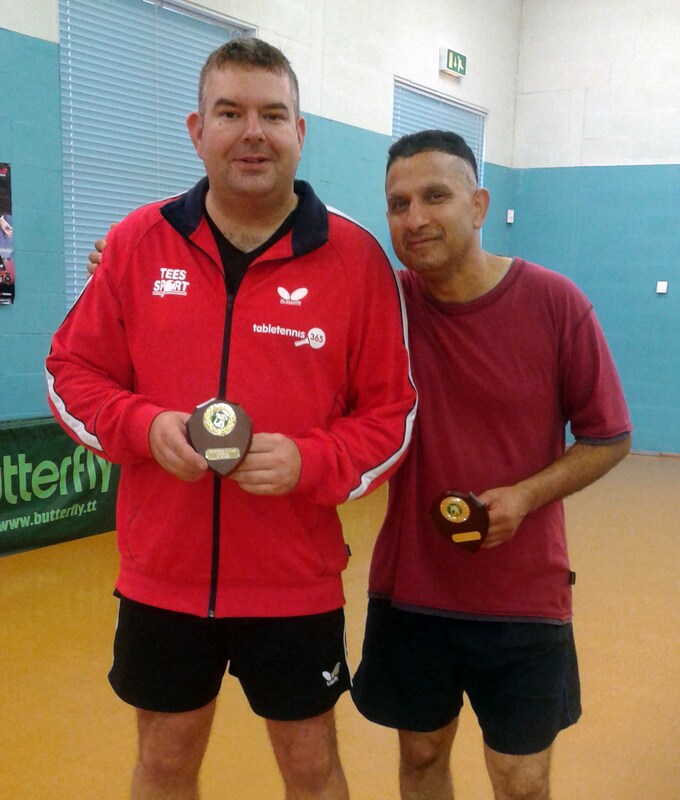 At the Semi Final stages Steve Horton faced Pat Glynn and came through in straight sets winning 11- 7 11 – 5 11- 4. In the other Semi final Jason Thompson the no 2 seed faced the dark horse of the competition Steve Robinson who had already beaten the no 4 seed Tom Savary and the highly rated Jody Bevington. Could he do it again ? Not this time losing a mammoth battle in the final game 11-5 . In the final, the match swung back and forwards with both players sharing the first 2 games. Thompson managed to secure a close 3rd game 11 - 9 . In the 4th game it was again very close until the end of the game when Thompson managed to get ahead and held a match point for the title at 10 – 9 . Steve Horton known for his dogged determination was not going down without a fight, coming back to win the fourth 12 – 10 . 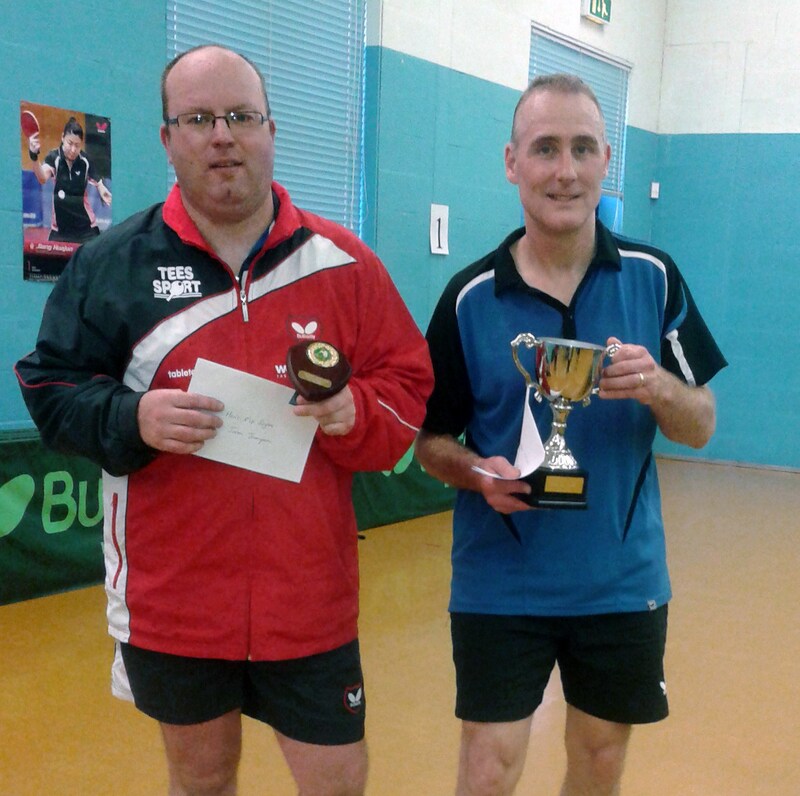 As throughout the match it was a battle to the end with Steve Horton winning the title 13 – 11 in the final game. In the Ladies competition play comprised of a round robin between Barbara Wilcocks. Georgia Harris and Jessica Bromley . 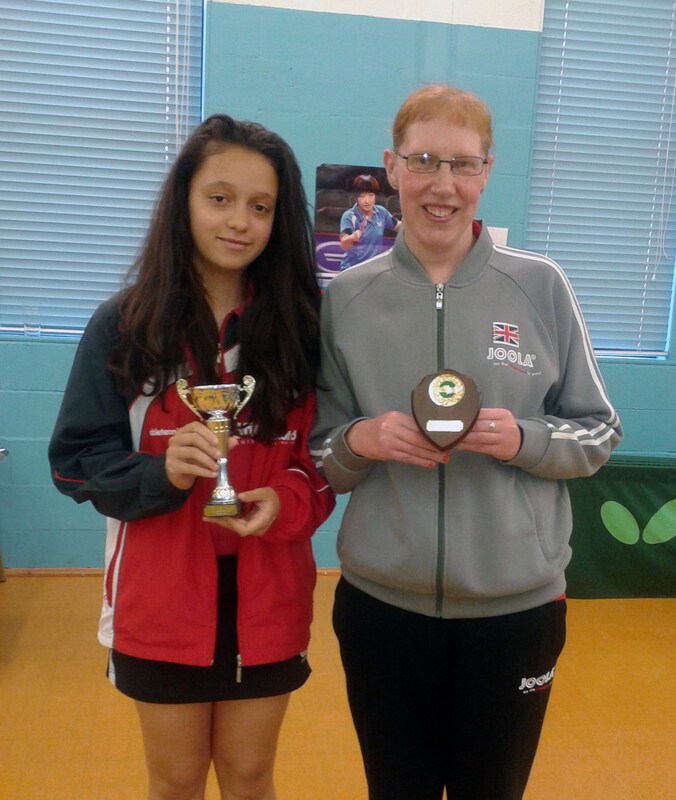 Youth was to prevail over experience with the vastly improved Georgia Harris winning the title unbeaten with Jessica Bromley finishing runner up . In the Consolation event, Nirmal Sharma was the winner and Jay Shah was the runner Up.